Families looking to graduate to a bigger challenge from Rattlesnake Mountain need only cross the street to hike Mt. Morgan; elevation 2,220 feet. The 2.1-mile Mt. 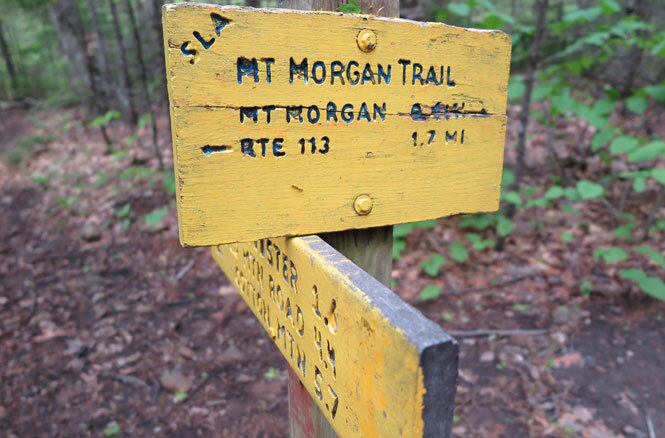 Morgan Trail features 1,450 feet of elevation gain to attain the same magnificent views (albeit slightly farther away) of Squam Lakes. 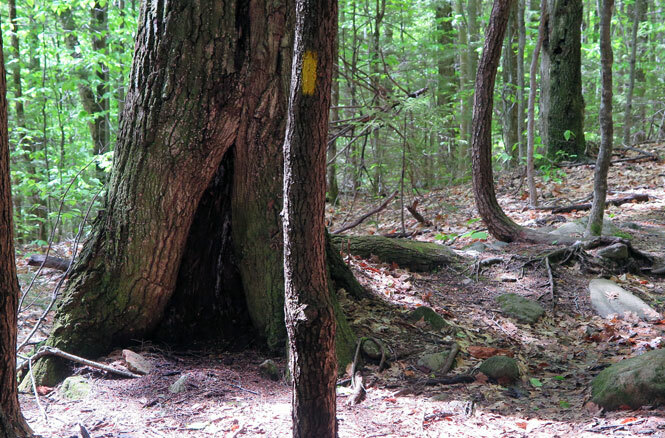 For many, this hike is conquered as a 5.1-mile loop hike with Mt. Percival. It’s worth noting that the Mt. Morgan Trail is on the more challenging end of the family hikes scale. 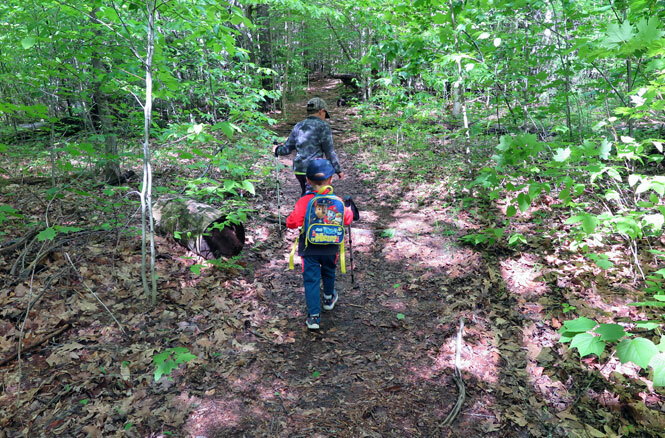 Most of the elevation gain is packed into the second half of the hike, where several stretches of steep and rugged climbing could prove difficult for children too big for the carrier but too small for prolonged rocky climbs. Active kids in the 6-10 age bracket should be able to complete the hike with only moderate complaining. The Mt. Morgan Trail begins on an old woods road with easy footing. A short distance into the hike, the connector to the Mt. Percival Trail splits off to the right. If you continue along the Mt. Morgan Trail here, pay close attention as the trail soon splits left from the woods road at a spot that’s easy to miss (we missed it). The trail does circle back close to the road, so it’s easy to reconnect if you miss the initial split. For families doing this hike, it’s worth noting that there isn’t any “entertainment” along the way such as waterfalls or glacial erratics. This hollowed out tree was about the “coolest” thing we encountered. 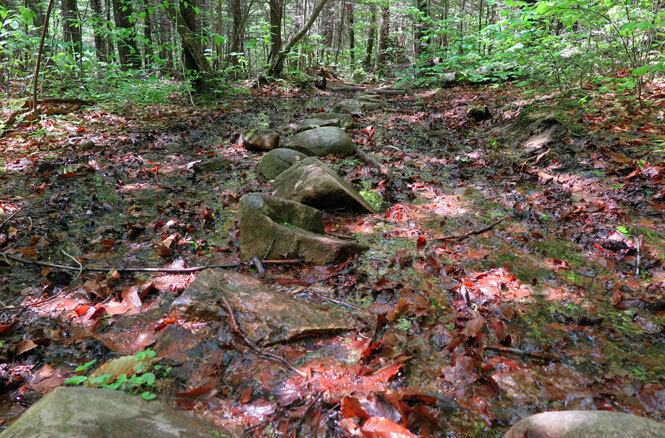 In late spring we found the trail extremely wet and muddy. As such, the mosquitos were also horrendous. 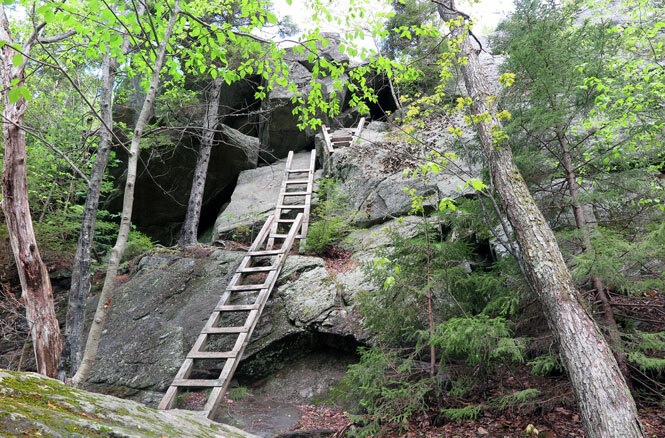 This is one hike for which you’ll want to pack the bug spray. 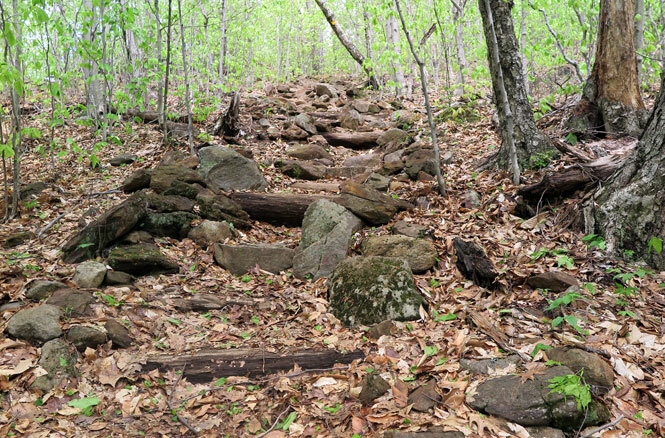 Approximately a mile and a half into the hike, the steep climbs begin. They come in intervals, and while this is a relatively short hike, there always seems to be one more than there should be. 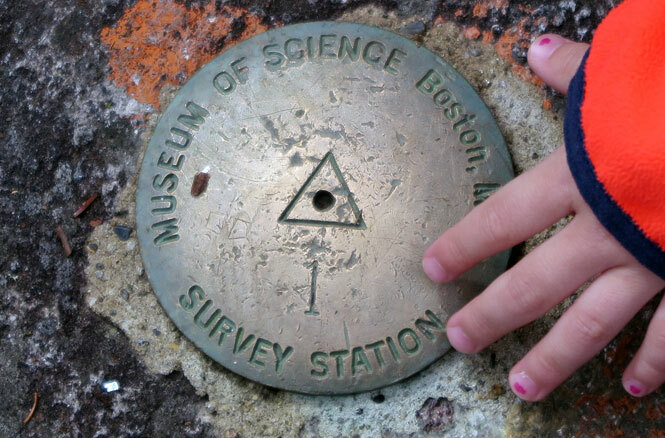 At the 1.7 mile mark, the Mt. 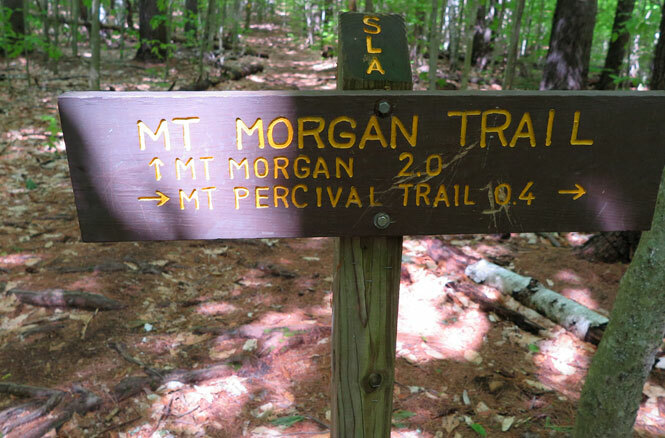 Morgan Trail joins the Crawford-Ridgepole Trail for the last 0.3 miles to the summit. 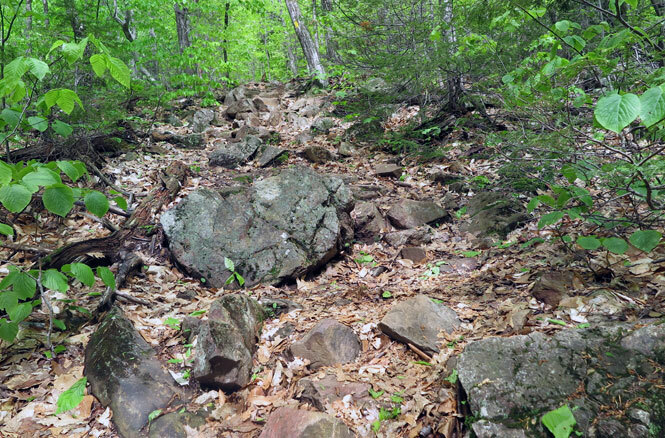 The last 0.3 miles to the summit continues to feature rugged climbing. The real fun of the Mt. Morgan Trail are the cliffs at the end. Fear not, there is a bypass trail that loops around for those with younger children who shouldn’t attempt the ladders. 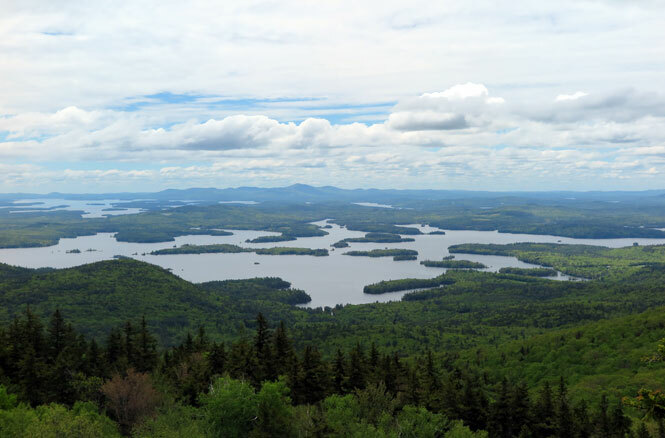 The top of the cliffs, with a view of Squam Lakes, has better scenery than the actual summit. The view of Mt. Webster from atop the Morgan cliffs. 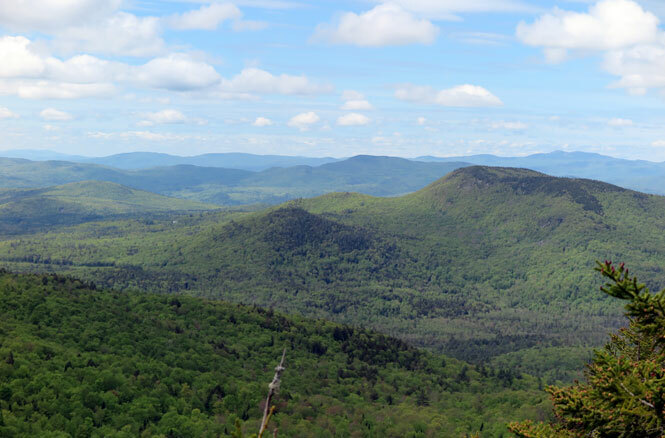 After the cliffs, the Crawford-Ridgepole Trail splits right for Mt. Percival (this is also the way the bypass for the cliffs comes up) and the Mt. Morgan Trail turns left for a short rock scramble to the summit.